So many couples, brides and mothers write us regarding our cakes that we cannot possibly mention them all. 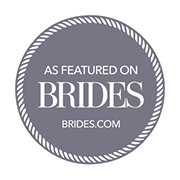 Enjoy our growing page of testimonials and latest creations to get a taste of how much you will delight in our cakes for your perfect Maui Wedding. Check out our BRIDES & CAKES. Ask for Vegan, Gluten-free and Raw Cakes too! Why do people love GhiseLani Cakes? Thank you so much! Your cake was so beautiful that everyone was admiring ii especially the happy couple and it tasted amazing too. 25th anniversary surprised the couple! Thank you so much for helping make our Maui wedding so special. JR and I both loved the cake! We ate most of it ourselves, but we also shared with our wedding day helpers, and some of the hotel staff. The flavors of both tiers were superb! Aubrey Hord (our photographer) even said that it was probably the best wedding cake that she had ever tasted. My personal favorite flavor combination was the white almond cake with the lilikoi filling. It is truly a wonder that I didn't gain 10 pounds! We have to tell you, the cake you made us was the best cake we both have ever tasted and I'm not joking! Seriously my favorite cake ever! I wish we could order from you all the time! Thank you so much for all the care you put into it for us. We so appreciate it! My cake was so beautiful with a touch of elegance. Everything I had envisioned and my expectations were meant beyond belief. You were such a joy to work with and met me more then haft way. Besides my cake being beautiful it was sooo delicious. The flavors of all the different layers were divine and moist. Thank you for all your hard work. I was trying to add to your testimonial area but couldn't find the area to write it. Your cake was so delicious! "The cake was fabulous!!!! Best cake ever!!! Thank you so much!!!!!" Visited Maui to celebrate the marriage two special friends. In hearing details about the beautiful day, the bride shared that the reception venue included dessert so they decided not to order a cake. Couldn't let the classic cake photo moment be missed and decided on the cake as their gift. Quickly researched and found Ghiselani, they were prompt to respond and accommodate the last minute (week of) request and work with my budget. Followed their recommendation and ordered a two tiered White Bride Cake with Lilikoi Curd and Raspberry Puree and Buttercream Coconut Frosting- truly delicious and received so many compliments! The cake was beautiful and everything was handled so easily, prompt email responses and calls, on time delivery to the reception venue and payment via paypal. Would highly recommend Ghiselani and the Lilikoi Curd and Raspberry Puree!!!! I just wanted to let you know that your cake was an absolute hit at the party! Everyone was saying it truly was the best cake they had ever tasted! Thank you for making it beautiful and delicious. We have memories that will last a lifetime! Just wanted to say that it has been a year since we used your services and people that attended our wedding are still raving about your cake! Marie is, quite simply put, AMAZING ! I wanted a white fondant 3 tiered cake with a gold damask print for my wedding cake. However such a labor intensive cake was not in my budget. Marie, however, was able to make great suggestions and ideas that would allow me to get the wedding cake of my dreams! Her customer service is superb and she has a calming effect on spastic brides (like me) because you are able to trust her professionalism. I went from being a stressed out bride who feared her dream cake was unattainable to being sooooo excited to see the outcome! I get married in 2 weeks and one of the things I am looking forward to the most (besides marrying my soul mate) is viewing and tasting the cake! I ate the whole slice. I never eat the whole slice! We and all of our guests were very impressed with both the cake and the Minions - which were ABSOLUTELY PERFECT and a huge hit with the kids. The cakes were moist and flavorful, and that frosting was completely decadent! Was that the rum frosting? I forgot what we ordered. Whatever it was, it was something special! We froze the anniversary cake overnight before we left, wrapped it in plastic, and lovingly carried it on the plane - along with the leftovers in plastic containers. Everything traveled wonderfully and the leftovers will be sweet reminders of our special day for the rest of the week. =) We would love to write a review for you if you like - 5 stars all the way! Cake tasting was so much fun! She is extremely creative and very personable! She has props to help you design and see the cake you want to build. The cake tasted amazing; especially since there are endless flavors you could mix and match from. The details outside of the cake were exquisite, detailed, and extravagant. The cake itself wasn’t very impressive and lacked the awe factor, but the details outside around the cake made up for it. We set aside a fairly large budget for an extravagant cake, but the cake itself only had different colors of butter cream on it. Gigi was great to work with. My husband and I gave her ideas of what we wanted and her creativity took it from there. Overall we were very pleased and happy with our cake." I just wanted to Thank you so much not only for the wonderful experience you provided for Paul and I at the Cake Tasting and Consultation, but also for the insight of staying connected to those that are always with us spiritually! I'm so very grateful that I had the opportunity to be blessed with your presence. We have chosen the Black and White cake marble with the Vanilla Mouse and the Lilikoi Filling and for the icing, it will be the Buttercream Lemon! THANK YOU so much for creating a wonderful and delicious cake for our family's celebration of my parents 50th Wedding Anniversary. My mom said it best when she said "this cake is more beautiful than our original wedding cake". Everyone thought it was the best tasting wedding cake that they had ever had. Your cake was the hit of the party and there was plenty for all to take some home for dessert the next day. Thank you all so much for your contribution to our memorable event. What a beautiful cake and soooo delicious! I just wanted to send this photo. Thank you for everything! I have never seen a more beautiful cake in all of the weddings I've been too and I certainly don't expect to. You are more than welcome to use any of the pictures if you wish. I just wanted to send you a BIG MAHALO NUI LOA for all your kokua and hard work in making Willy and Maile's Wedding on Saturday Super-duper AWESOME!! 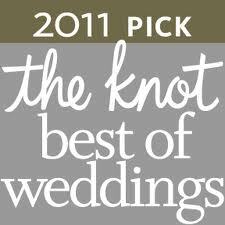 Thank you for your flexibility, professionalism and support in making Willy and Maile's wedding phenominal!! What a team! Looking forward to working with you all soon!! I got married last September and you so graciously made us our cake extremely last minute, for which I was extremely grateful. Now we had our first Anniversary and we saved the top layer of the cake as you suggested. I had to thank you again for the incredibly scrumptious and delicious cake. Even a year later it was phenomenally, exquisitely delicious. The cake was very good, we got a lot of compliments on it. It seems there was plenty enough for everyone. It was also very beautiful. Thank you for everything! Thank you sooooo very much for the beautiful, wonderful cake!! I adored the little hearts you put on it etc etc! Hope all is well with you and your niece too! Blessings and lots of love and aloha! We have had such a magical time on your island and really hate to leave more than you will ever know. Thank you for your part in making the magic....it was unbelievable!!!! Everyone just raved over how delicious the cake was.....and they were right to do so! Thanks again for your island hospitality...thanks to you and Della and all the people present at the reception it really felt as if we had more family and friends than we realized! Our deepest Mahalo to you for your Aloha! Thank you also for introducing yourself to me, I appreciated that! What a lovely email! How could I ever say no?! I wouldn't ever say no anyways. I really, really appreciate you asking first. And absolutely you can use any photos you'd like as long as there is credit to Trish Barker Photography with link where possible www.TrishBarkerPhotography.com. You really did a spectacular job on that cake. It was one of a kind for sure. Many Thanks for all of your kind words and your gift for sweets! Amazing lady & super tasty cake! All my guests were raving about the cake and how it was so delicious!!! I wish we had leftovers, so I could have had a piece the next day, but it was all gone. Have her recommend her specialty as it was just that..Also, totally went out of her way to deliver my cake to the airport during my 2 hour delay from one island to the next...a brides savior! Thank you so much for being a part of my special day, it would not have been the same without your creation. You are such a sweet lady inside and out I know all your customers are so lucky to be working with you. You put a smile on my face everytime I spoke to you. I had a wonderful experience with Marie, the baker. She was like my favorite auntie, so sweet and supportive in helping me plan for my cake from thousands of miles away. She even upgraded the size of my cake at no extra charge. She made the cake exactly to my specifications. Not only did it look amazing (covered with edible seashells and sand), but it was absolutely delicious. We had a 5 inch cake for a private ceremony that included only me and my now husband. We actually finished eating the entire cake (and my husband is not a fan of sweets). It stayed fresh and delicious in our fridge for days. We enjoyed every last bit of it! We plan to order one to be sent to us on an anniversary in the future. We got married in 2010 and were back in Maui this year (2014) to celebrate my first mother's day, I decided the perfect treat was to have my wedding cake again - as it was the most tasty cake I have ever had. It was such a treat to get to meet Gigi and have that cake again. Not only was it beautiful, but her cakes are so tasty and moist, a true piece of art unlike anything I've ever tasted. I highly recommend her orange brandy cake! Yum. 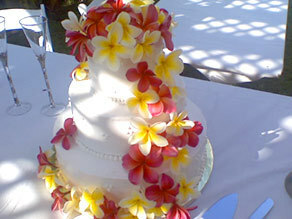 Gigi made the most unbelievably delicious and beautiful wedding cake and cupcakes for our wedding in Maui. The cupcakes were made in many different combinations that we chose and the cake was moist and delicious. Her passion for her cakes and her business shines through with the work that she creates and she was a delight to work with before, during and after the wedding! Mahalo, Gigi! Marie prepared our wedding cake for us and I was nervous as I could not taste before hand (coming from the mainland for our wedding day). I explained to her the flavours I wanted and how I visioned my cake to look. I have to say, Marie nailed it! My guests were raving about the cake the next day and I am very happy with the quality of the cake. My sister, who isn't even a cake eater, even enjoyed it and commented how good it was! Marie was very easy to work with and listened to our ideas, implementing her own suggestions based on her experience which is exactly what I wanted in a cake designer. I would definitely recommend Marie for anyone getting married in the Maui area and when my husband and I return to Maui for an anniversary we will be asking her to make us a small cake to replicate the delicious one she made for our wedding!! Working with Ghiselani (GiGi) on my nephews' Maui wedding was an absolute pleasure. From the tasting - she has amazing flavors to choose from -to the wedding day she was enthusiastic, professional and delivered a meticulous cake and cupcakes. You can tell she loves what she does and wants everything to be perfect - there wasn't a cupcake left and we had to hide some cake so the Bride and Groom could have some the next day. A wonderful experience.